I am hard at work on my newest titles. Check back soon or use the “Contact Me” or “Follow Me” buttons to stay informed about upcoming release dates. Sometimes Scott Deters can see the future. He can’t predict who will win the World Series and he has no idea what numbers to choose for the lottery. He only sees a few seconds away. It feels like a worthless gift until Scott is given another gift—a mysterious medallion. Now Scott has to protect the trinket. The medallion amplifies the mind, and if it gets into the wrong minds, nothing will save Humanity. 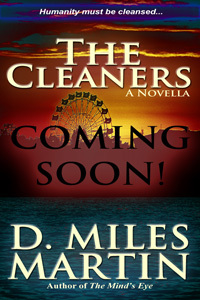 Coming 2013 to Kindle, NOOK, and Smashwords. Rookie cop Sullivan Hunt killed Emir Hayalet on a wooded bike path. 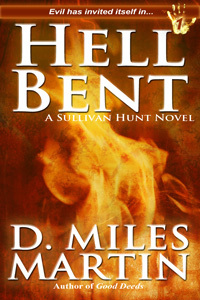 The old man had gone crazy, waving blood-stained knives and chasing Sully with amazing speed. Kill or be killed—a clear case of self defense, even if there are no witnesses and Sully is only a third of Emir Hayalet’s age. But the police of Oakview look out for their own. Besides, evidence is soon found revealing that Emir was the Burning Hand, a sadistic serial killer who disappeared a decade earlier. Sully Hunt is in the clear. He has nothing to worry about. Except for the nightmares. And the blackouts. 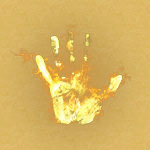 And the fact that the Burning Hand killings have started again. 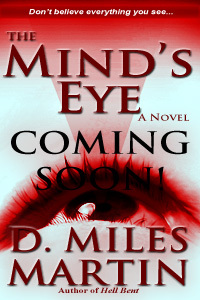 Coming early 2014 to Kindle, NOOK, and Smashwords. The carnival has been set up just past the railroad tracks. It has all the usual attractions – a funhouse, a Ferris wheel, the Tilt-a-Whirl, corndogs, cotton candy, and games of chance. It also has a freak show, the best in the country it’s been said. When Tommy-Joe Thorp wanders on to the carnival grounds, Morrie Johns sees dollar signs in the half-man, half-ape. But Morrie’s son Ricky sees only darkness. Ricky Johns is clarvoyant, but when he looks into Tommy-Joe Thorp, there’s nothing there.